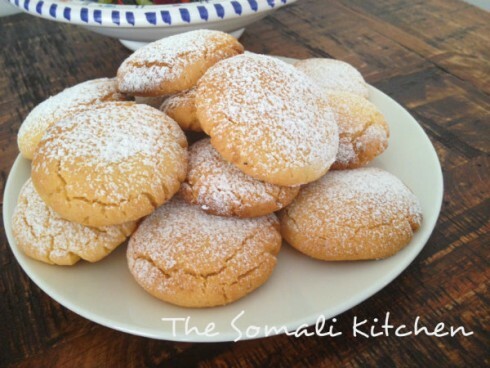 The Somali Kitchen is a site with wonderful Somali recipes. The site was founded by a Somali husband and wife team who now live in Australia. 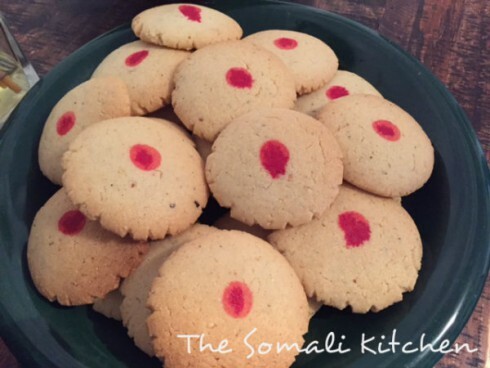 Here’s a popular Somali cookie recipe they shared with us! “Icun in Somali means ‘eat me’ and believe me you will eat and eat these crumbly shortbread biscuits that just melt in the mouth. They are usually made for festive days (like the end of Ramadan celebration called Eid al-Fitr), but in our household we don’t wait for a special day. Any day and everyday is icun day! 1. Grease a cookie sheet with some of the melted butter. 4. Shape the dough into small balls with your hands and flatten into a small disc shape. Place on the cookie sheet with some space in between each cookie. 5. Bake for about 15-20 minutes in a medium heat oven on 350 F (or 175 C) or until golden brown. Optional: Before baking the cookies you can put a dot of red or yellow food coloring in the center of the cookie. Some people put a clove in the center, or a currant or a small piece of a candied cherry. Many thanks to Abderazzaq Noor and Khadra Yusuf from The Somali Kitchen for sharing this recipe and their photos with us! Check out their site and try some recipes! 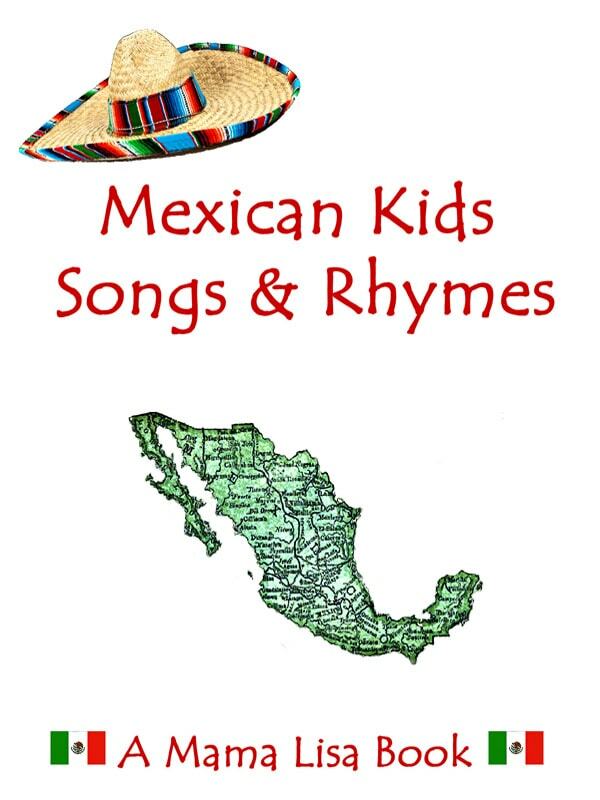 Note: Here’s our link to learn some Somali Kids Songs. This article was posted on Wednesday, March 7th, 2018 at 9:12 pm	and is filed under Cookies, Countries & Cultures, Eid al-Fitr Recipes, Eid'l Fitr, Holiday Recipes, Holidays, Holidays Around the World, Mama Lisa, Ramadan, Ramadan Recipes, Recipe for Icun - Somali Cookies, Recipes of the World, Somalia. You can follow any responses to this entry through the RSS 2.0 feed. You can leave a response, or trackback from your own site.